RPG Stomping Grounds – Where Do You Get Your Fix? Have you ever realized that you spend too much time at a particular gaming website? I know I do! I a frequent RPG Geek on a regular basis almost as if it were a religion unto itself. I tend to find much of what I am looking for there; anything from adventure ideas to game reviews and podcasts to connecting with other gamers. More importantly, I have made so many new gaming friends from around the globe. 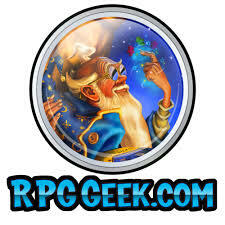 I do visit other websites that cater to specific RPGs, but to get my online RPG social fix I have to visit RPG Geek. I have talked to a number of people that congregate in Facebook groups and have literally no knowledge of sites like RPG Geek. I know there are other sites out there so, where do you visit and why? Previous Post Digital Footprint – Do Today’s PDFs Meet Your Needs?